Have you ever noticed that, whenever you try to finish a big project, other little projects just creep in? Since I always have at least one “big project” going, I guess it’s inevitable that the other things that need doing have to be fit in sideways. Lately there’s been a lot of that. First, I appliqued an orphan block to a bag for a speaker I invited to our modern guild. This is a great use for orphan blocks. 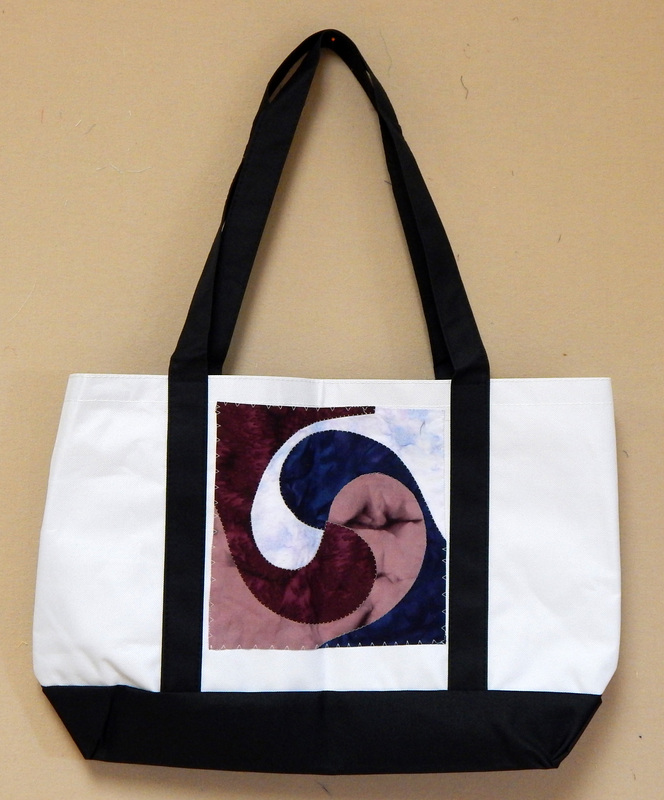 Just attach to a bag, and you have a handmade gift! 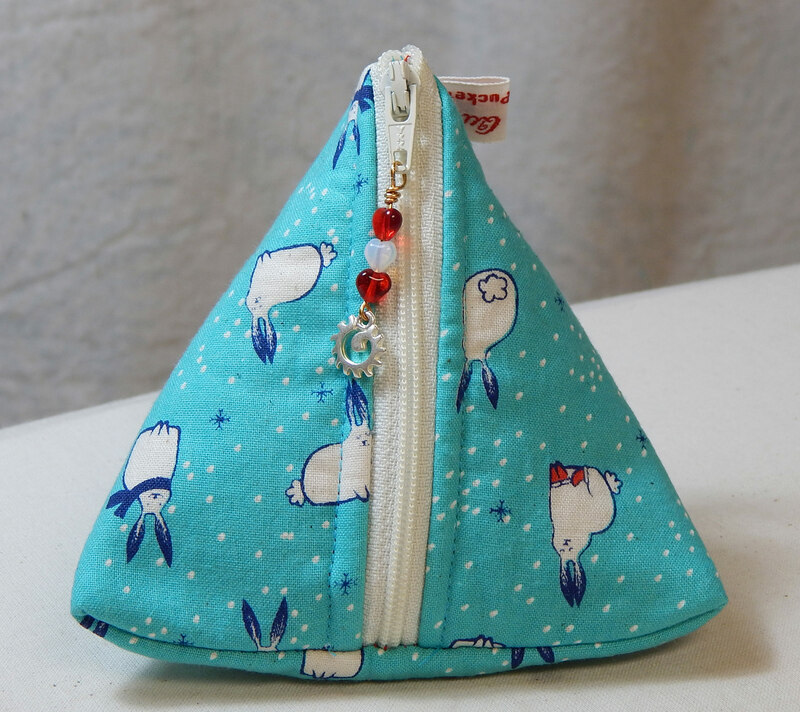 Then I found a tutorial for a pyramid bag and had to make a few…plus one more this week! 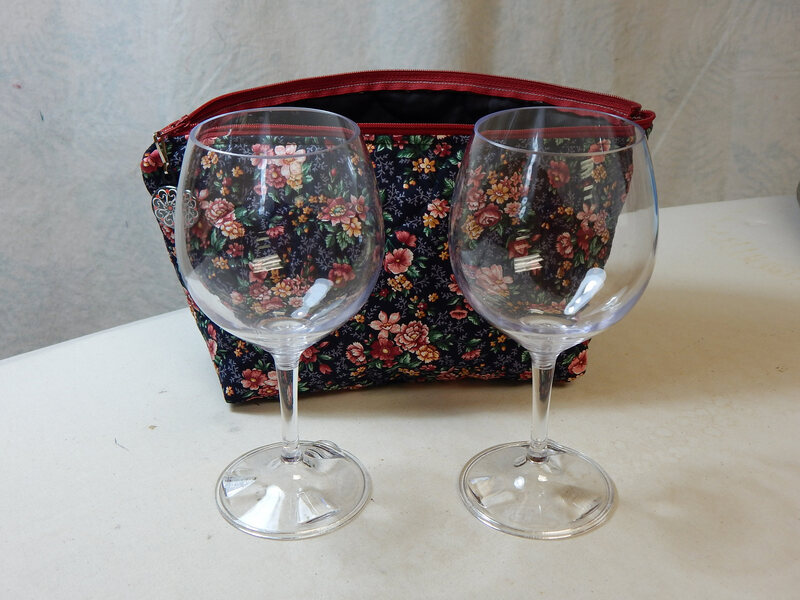 Finally, our travel wine glasses (they are Lexan, and disassemble for safe travel) needed a travel case: In the midst of all this, I started having trouble with my walking foot while trying to quilt another project! Does a walking foot wear out??? In any case, I think I have procrastinated with little projects as long as I can, so I’d better go bind a few quilts. Have a good week! This entry was posted in Crafts, Quilting, Sewing, Sewing projects and tagged gifts for quilters by zippyquilts. Bookmark the permalink. I kind of hate that Amazon is taking over the world, but I did get the bag from them since I live 45 minutes from stores and didn’t want to make a bag from scratch. I feel the same way about Amazon… but these days it’s more convenient than driving in traffic to go to store that might not even have what I’m looking to purchase. I also do this to myself. But look at the lovely things you have produced!